The Halkin Hotel’s 5* Belgravia Suite is one of the posh room at the Halkin that features butler service and soaking baths. 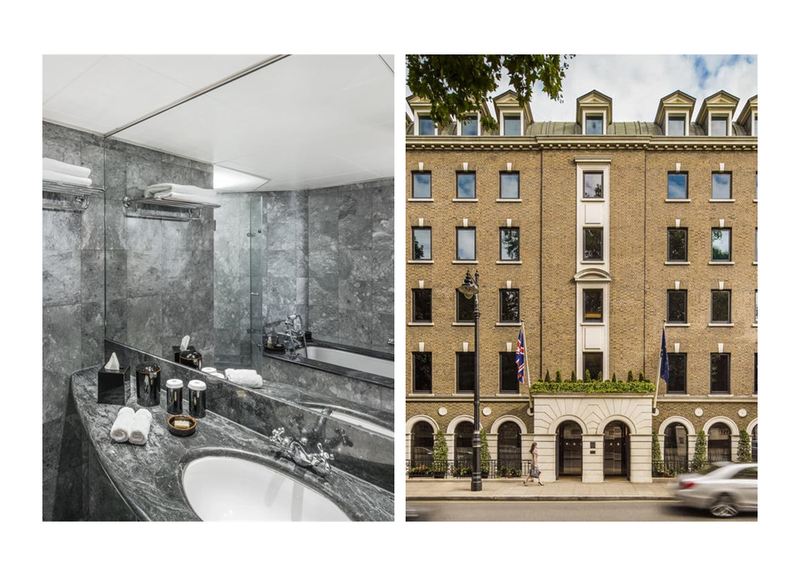 With a Georgian-style exterior of brick, Portland stone and arching windows, The Halkin boasts a powerful and surprisingly serene sense of modern simplicity and light throughout its interiors, as well as in a quiet garden to its rear. Pairing timeless Italian elegance with contemporary simplicity, these ample rooms will surprise even those accustomed to suites in London hotels. Open-plan, semi- or fully-partitioned, each room has a lounge area and sofa. Some overlook quiet gardens; others have high curved ceilings that follow the arch of the barrel-vaulted roof. Large dormer windows allow light to flood interiors. The Czech & Speake Edwardian Bath taps complement perfectly the sleek modern style combined with Georgian overtones.